I started by painting my nails with two coats of Beyond the Nail - Frosty. On my ring finger, I painted on one coat (followed up by sponging another layer) of Beyond the Nail - Fiddlesticks. 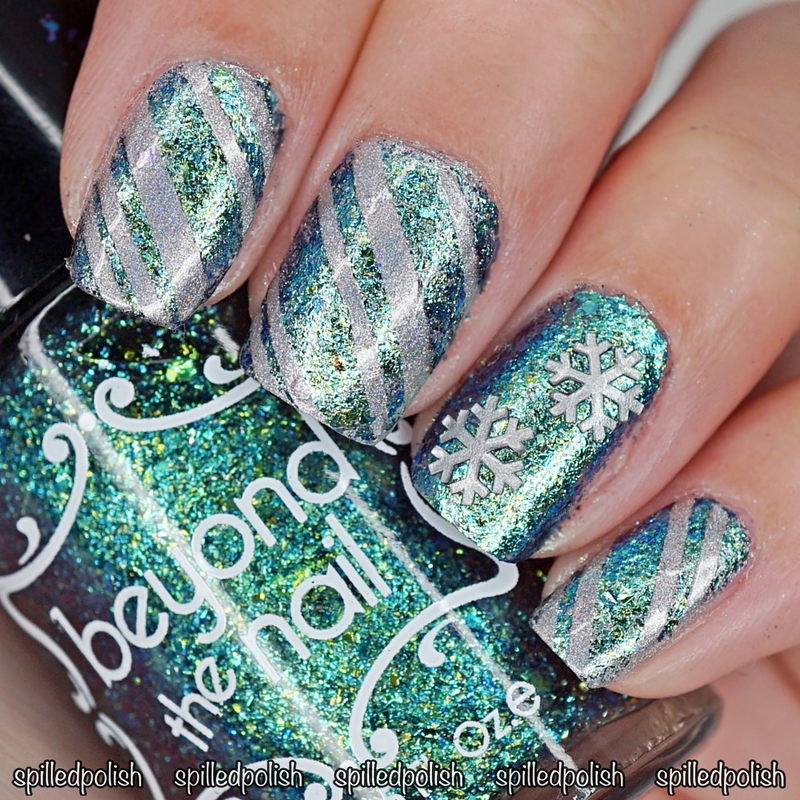 I placed on some Line Nail Guides diagonally across my other nails and sponged over it when Fiddlesticks. I immediately peeled away the nail guides and left it to dry. 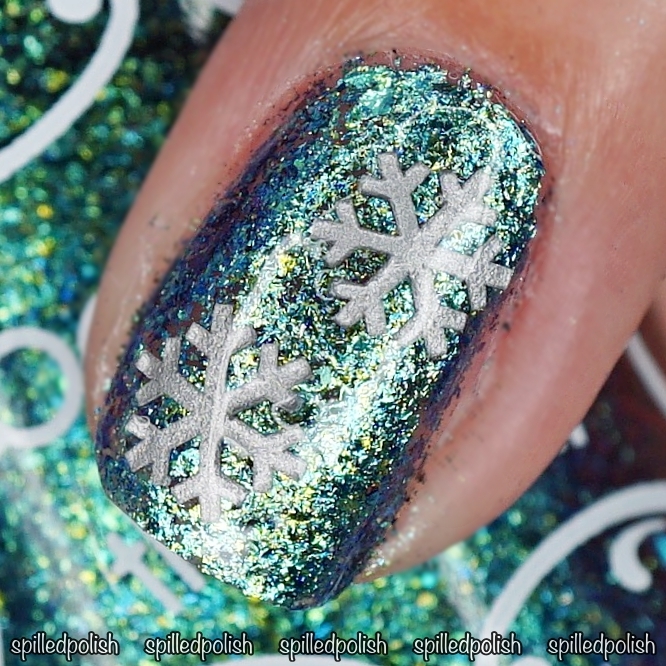 I placed on some Snowflake Nail Decals onto my ring finger and topped each nail off with one coat of PRO-FX - Quick Dry Topcoat.